Yes, buddy, that’s your Mother Earth. Isn’t she beautiful? American astronaut Anne McClain, who is a part of Expedition 58/59 to the International space station, shared the beautiful (and cute) photo below on her Twitter account, saying “Yes, buddy, that’s your Mother Earth. Isn’t she beautiful?”. On March 3, 2019, at 10:51 UTC (05:51 EST), SpaceX Demo-1 Crew Dragon autonomously docked to the International Space Station’s Harmony module forward International Docking Adapter (IDA), becoming the first commercial crew spacecraft arrived at the International Space Station (ISS). Here’s the video of the docking process. Virgin Galactic’s VSS Unity (Virgin Space Ship Unity) made its second flight into space, reaching an altitude of 55.87 miles (89.9 kilometers) on February 22, 2019. The American space company released amazing footage of the flight. 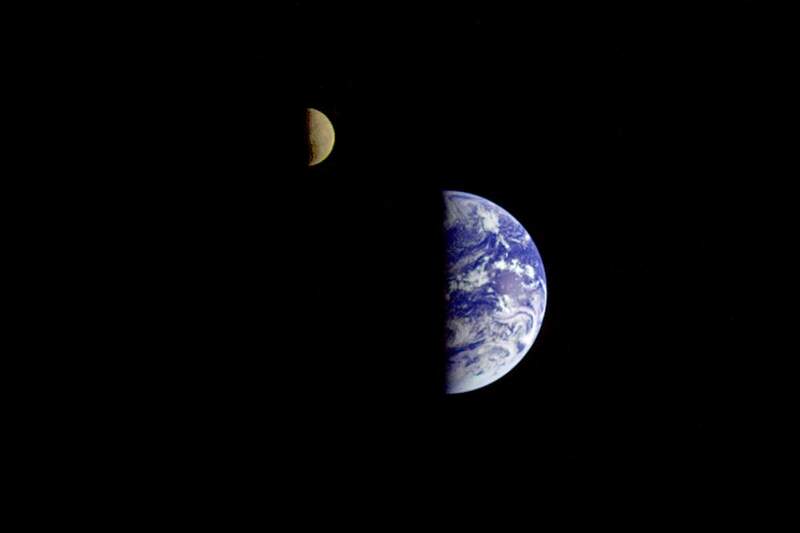 On December 16, 1992, eight days after its final encounter with Earth, NASA’s Galileo spacecraft looked back and captured this remarkable view of Earth and the moon. 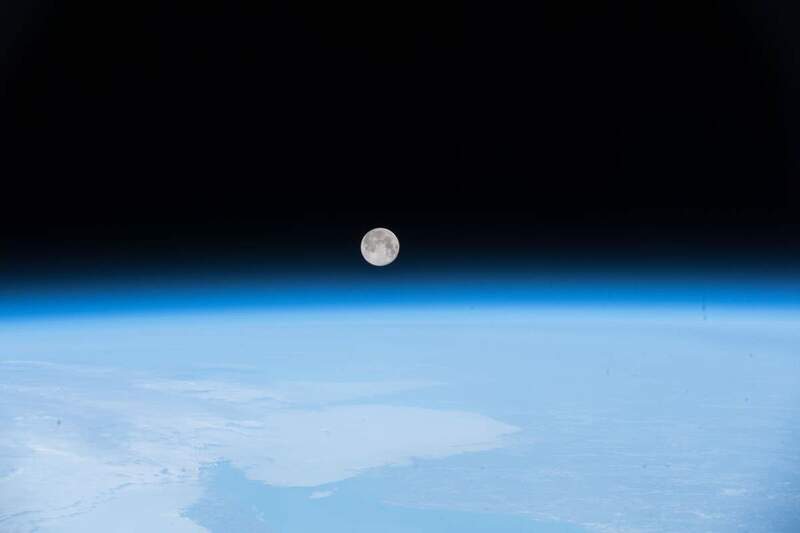 An amazing NASA photo: the crescent Earth rises above the lunar horizon in this spectacular photograph taken from the Apollo 17 spacecraft in lunar orbit during final lunar landing mission in the Apollo program. A beautiful photo showing the first flower grown in space (a zinnia flower) with our beautiful Earth in the background. Now retired NASA astronaut Scott Kelly shared photographs of a blooming zinnia flower in the Veggie plant growth system aboard the International Space Station on his Twitter account back in 2016. Today, on January 3, 2019, China’s lunar lander and rover Chang’e 4 achieved the first soft-landing on the far side of the Moon in the history of humanity’s space exploration. It’s a space feat no nation or space agency (including NASA) has accomplished until now. Here are the top ten most beautiful Earth photos taken by the astronauts aboard the International Space Station (ISS) in 2018. Which one is your favorite? Or if your favorite image was not listed here, please leave a comment below. To see all images taken from the International Space Station and published by NASA, visit Space Station Images. 50 years ago today, on December 21, 2018, Apollo 8, the second manned spaceflight mission in the NASA’s Apollo program was launched and became the first manned spacecraft to leave low Earth orbit, reach the Moon, orbit it, and safely return. It was also the first crewed launch of the Saturn V rocket. Dan Beaumont Space Museum published a documentary titled “The Daring Adventure of Apollo 8 in 1968”. You can watch the full documentary below. The European Space Agency has published an amazing sped-up time-lapse video of the Roscosmos cosmonauts Oleg Kononenko and Sergey Prokopyev during their spacewalk as they floated over the Atlantic Ocean. The video was taken from the European Columbus laboratory. The two cosmonauts look like working honeybees in the upper-right corner in this sped-up video.